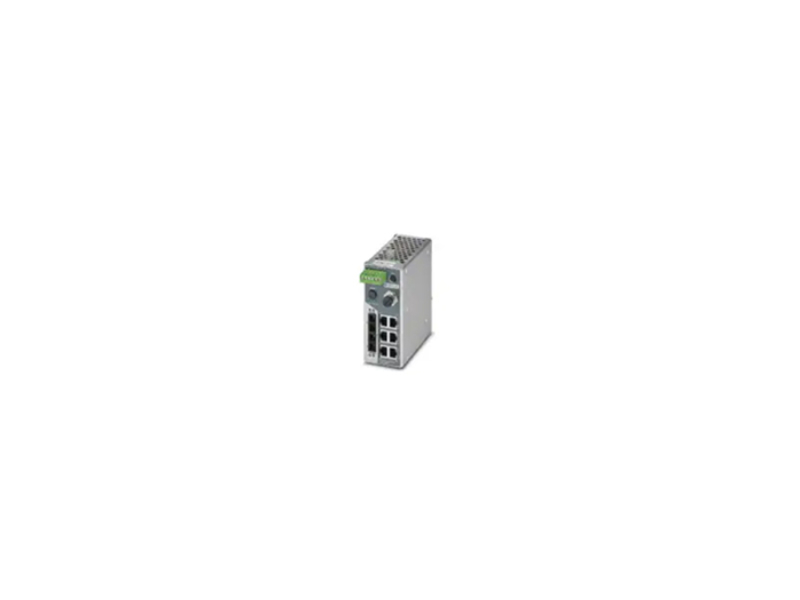 Phoenix Contact FL Series Managed Switches ensure a fast and consistent flow of information. The Smart Managed Narrow (SMN) switches feature six 10/100 Mbps RJ45 ports and two 100 Mbps multimode SC format fiber optic ports. The 7000 Series has six 10/100 Mbps RJ45 ports and two 10/100/1000 Mbps combo ports (RJ45/SFP) for EtherNet/IP™. FL Series Managed Switches offer maximum flexibility and smooth data traffic in automation applications.